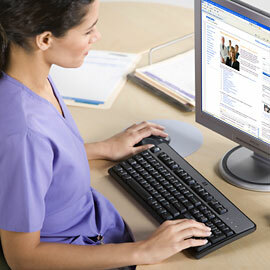 Welcome to the Philips Online Learning Center! The Philips Online Learning Center is dedicated to providing online continuing medical education to a worldwide audience. It has proven to be a welcome complement to instructor-led continuing medical education. Find out why more than 700,000 users have come to rely on the Learning Center for their online CME and CE. Whatever your healthcare focus or imaging specialty, we have accredited online continuing medical education courses tailored to your specific needs. Best of all, you'll be able to select, purchase, study, test and receive your certificate completely online! Continuing medical education online is a valuable resource for your busy staff to satisfy their continuing education requirements. The Philips Learning Center is a robust continuing healthcare education environment offering content that is continually updated, industry accredited and professionally engaging. The Philips Learning Center works with the following organizations to accredit, approve and accept the continuing education content published on the Philips Learning Center.